Here’s a perfect way to rid your home of cockroaches without using a single harmful chemical – buy some catnip. You heard me right, go too your local pet store, buy some catnip and take approximately a tablespoon of the leaves and submerge them in hot water, let sit for several minutes. Strain the ‘tea like’ mixture and pour into a spray bottle. 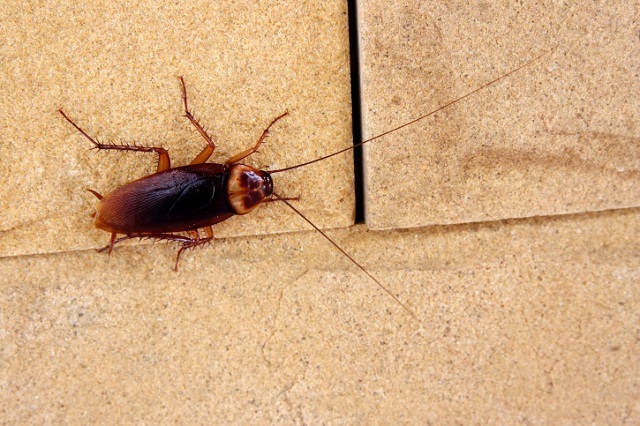 Use the spray everywhere including the kitchen, bathroom and other areas where you might find or see a cockroach. There is a natural chemical in catnip called “nepetalactone” that scientists have found repels cockroaches 100 times better than DEET – and the best part, it’s perfectly safe for kids and pets. Alternatively, you could try a coffee trap. The aroma of coffee not only attracts humans but cockroaches too. 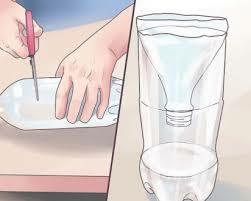 Cut the top off a plastic bottle, and invert it, as pictured above. Once the cockroaches enter the jar they will not be able to escape and will get trapped inside. Alternatively, if you hate to waste good coffee, you could just half fill the bottle with water and drown the critters.